I absolutely LOVE working this family and am so honored to have documented them many times in the past year. 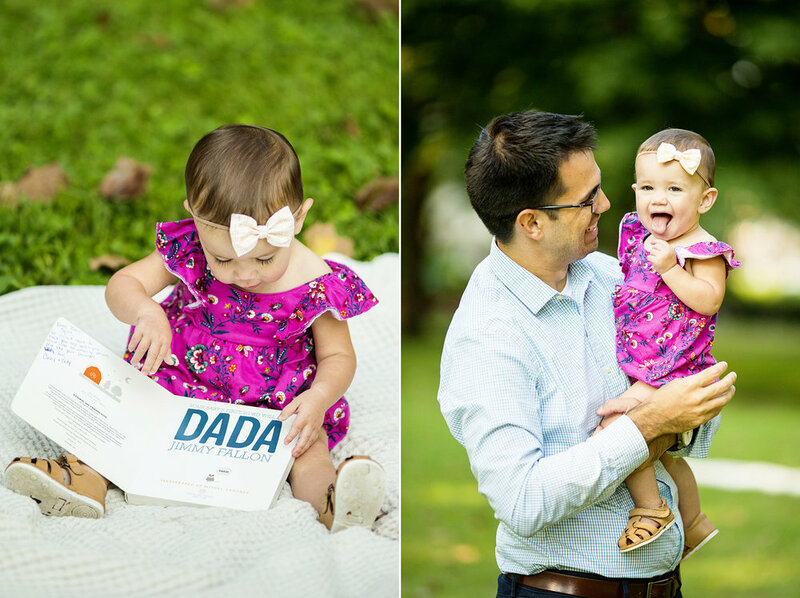 I personally believe that having beautiful family photos to document life's stages is SO important and that there are helpful tips to get the most out of a family session with little ones! 1. 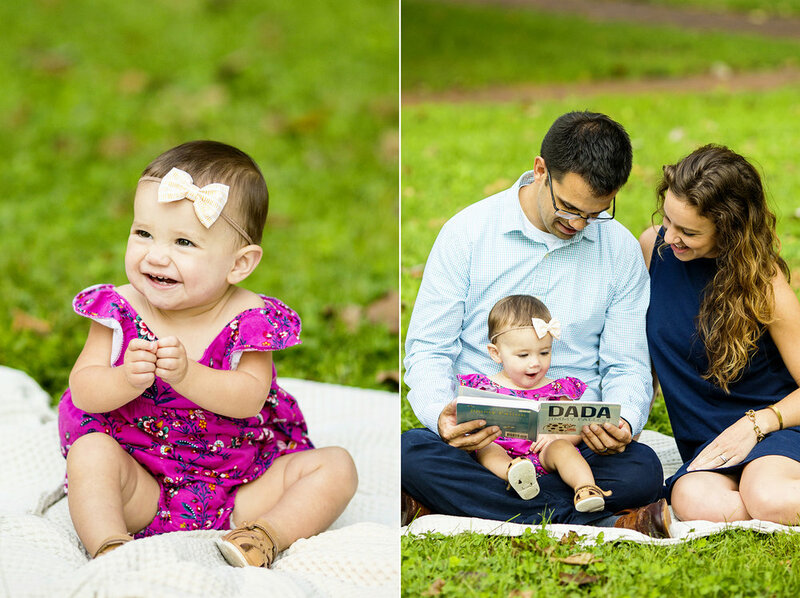 Most family sessions I do tend to be early in the morning. This time of the day is when most children are in their best mood of the day- after a good sleep and some breakfast they are usually full of energy and most willing to cooperate for those smiley and playful photos. The worst time for photos (from experience) is right after their afternoon nap or shortly before bed. 2. Bring snacks! An hour to a little one is a long time! Clean simple snacks (like puffs, dry cereal or candy) are great to kept their energy up and can be easily hidden in their hands to keep shooting while they snack. 3. I always ask parents to bring a toy, book, etc that they are loving at that stage of life. 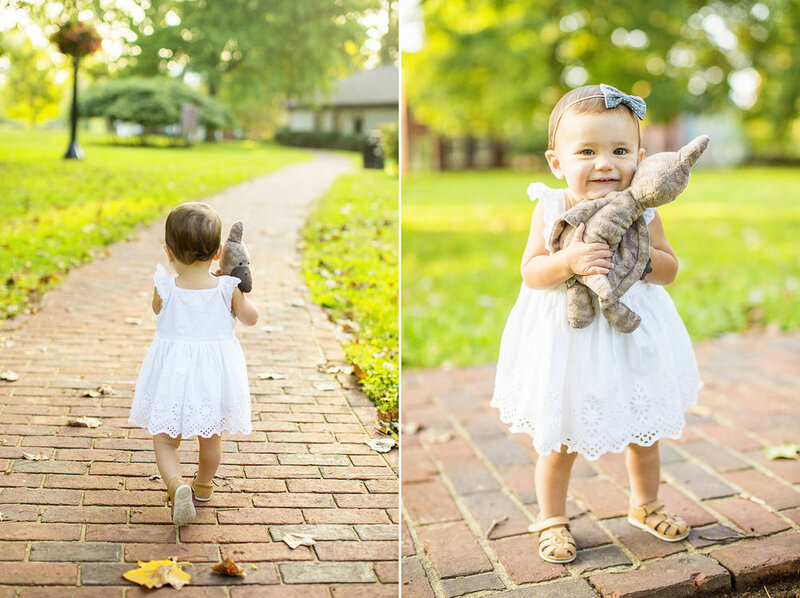 When you're outside of the home these items can bring personality to your kids and the age they're in. 4. Focus on what is special and important at this stage in life! For a one year session I LOVE focusing on hands and facial expressions. Kids personalities are growing and changing constantly at this age. They are learning to walk, talk and establish some independence from mom and dad. It's an important age to grab those small details like signing for more, the one little tooth they have popping through, blowing kisses or holding hands.